The Webb County Veterans Service Office assists veterans and veteran dependents in filing claims, appealing decisions, obtaining military records and/or completing Eligibility Verifications Reports. 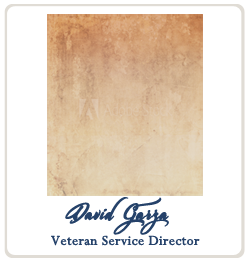 Our office also conducts home and institutional agency visits and interviews veterans and veterans' dependents to evaluate their personal situation to determine qualifying benefits and services. These benefits and services include compensation, pension, death benefits, educational assistance, home loans, insurance and /or hospitalization.